Things have certainly changed in the five years since Max left her hometown, and her return hasn’t exactly been a stellar success. She’s running into the limits of her unexplained and unbelievable new powers, and an impending disaster looms over Arcadia, but the biggest threats may just be more human and personal in nature. 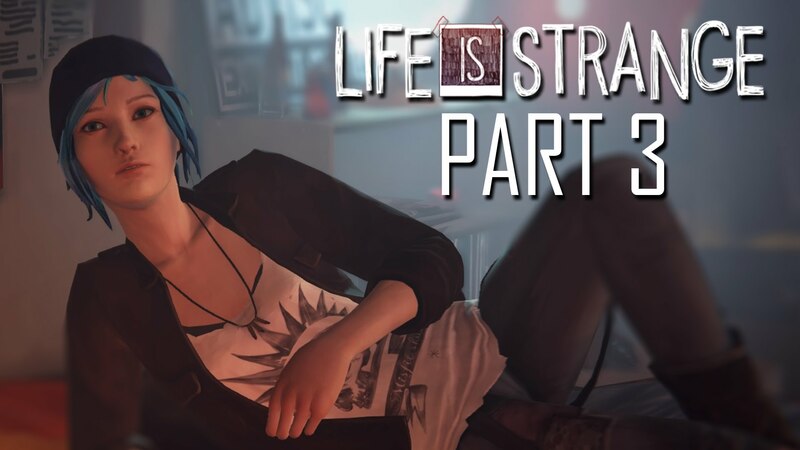 While Episode 2 of Life is Strange dragged a bit in the gameplay department, it ended with a pair of huge developments that affected a large portion of the cast. I was very anxious to see if the player’s choices and these results would continue to be carried over and well integrated, and I was pleasantly surprised and how often they were referenced and how it all actually affected the dialog and character interactions. Without getting into spoilers, the big event and Max’s subsequent accusations at the end of Episode 2 are not forgotten or mitigated in the least, and the consistency from episode to episode is one of the things I like best about this series. The gameplay is solid here, with everything very atmospheric and foreboding, which helps the immersion. The puzzles tend towards the easy side but they’re still well done and fit the narrative. The big choices continue to have a “no right answer” feel, which is a wonderful touch in a game like this. There’s an underlying unease that builds and builds as more clues about what’s going on slowly unravel. I’m extremely curious to see how it all fits together. We end with a huge shake up to the status quo, providing an irresistible cliffhanger going into Episode 4. Overall Chaos Theory was a great installment of Life is Strange and generates a lot of momentum going into the back half of the series.